Place the mango on a kitchen board and start cutting along the left side of the stem. Flip it around and repeat this on the right side. Now you have to mango “cheeks” and the left over core. Slice up the flesh of the cheeks into squares without cutting through the skin and use a spoon to scoop out the flesh. Peel and slice off the remaining mango from the core. Set about 1/4 of the mango chunks aside. 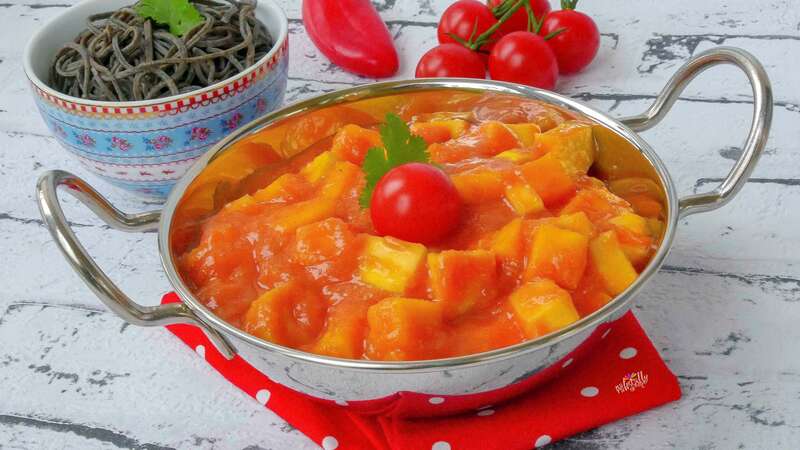 Blend up the remaining mango with the cherry tomatoes and your favorite curry powder mix, either spicy or mild. Dice up the peeled zucchini. 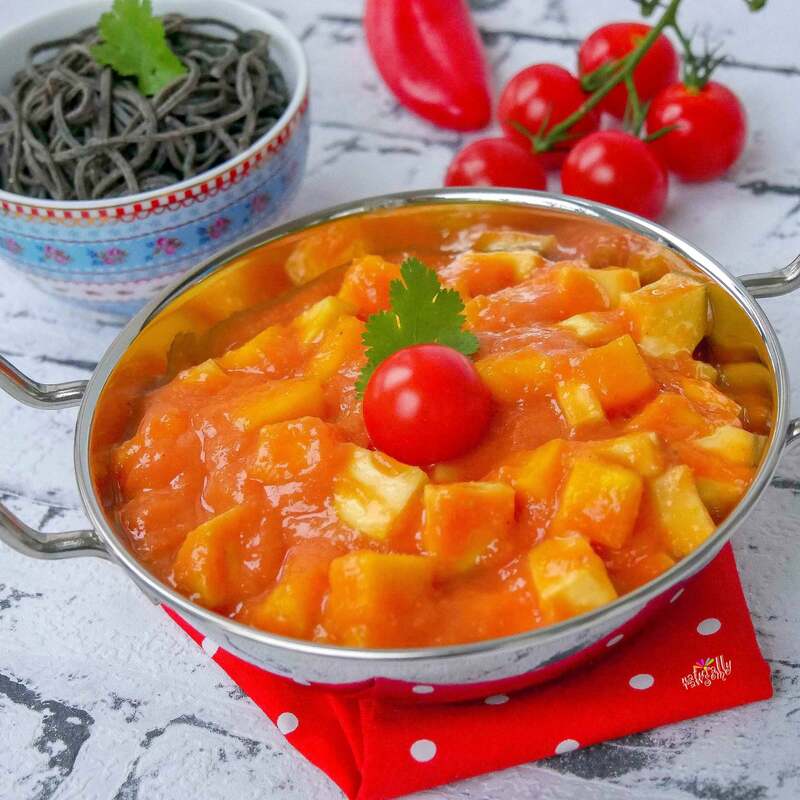 Pour the tomango curry sauce over the zucchini chunks and toss in the leftover mango chunks. Serve it in a little pot/bowl and decorate it with a cherry tomato and some cilantro. Tip: Tastes great to (cauliflower) rice and zoodles or gluten-free noodles (I used black edamame noodles).